Description: The Burns National Heritage Park brings together many of the Robert Burns sites in the village of Alloway, just south of Ayr. It includes Burns Cottage, Burns Birthplace Museum, Burns Monument, the Auld Brig o' Doon and Alloway Auld Kirk. This view shows the Burns Monument which sits in an area of formal gardens alongside the River Doon. Description: Statues of Tam o' Shanter and Souter Johnie from inside the monument. 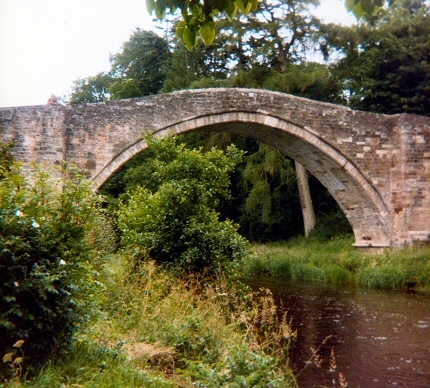 Description: A view of the old bridge over the River Doon. Famous for the escape of Tam o' Shanter and his horse Meg from the witches. 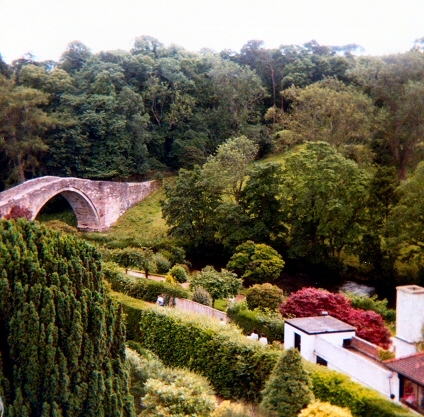 Description: A view of the Auld Brig o' Doon from the 'new' bridge over the Doon. Description: The Burns Monument as viewed from the Brig o' Doon. 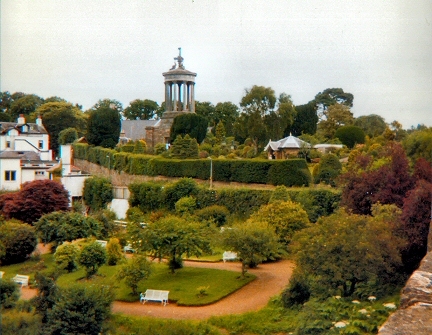 Description: A view of the Monument from the Brig 'o Doon from the 1980s. Description: The view from the Monument takes in the river Doon and the famous bridge. Description: The Auld Brig o' Doon close up. Description: Alloway Auld Kirk is famous for the activities of the witches who feature in the poem Tam o' Shanter. Robert Burns father is buried here. Description: The father of Robert Burns, William Burns, is buried in the graveyard surrounding the kirk. 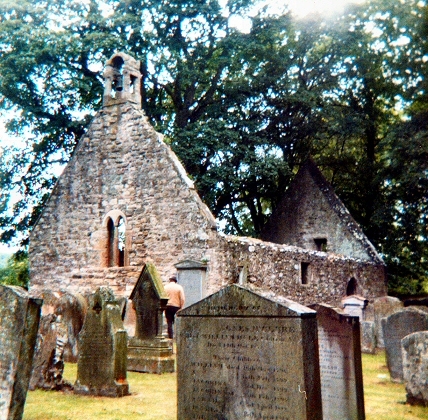 Description: A view of the Kirk from the 1980s. Description: The 'new' Alloway Parish Church is situated across the road from the Auld Kirk.